This outfit is so cute! I love your bag and the sleeves on your top are fabulous! You are totally rockin these overalls girl!! They are so cute for Spring! I swear you wear overalls better than anyone I’ve ever known! These are so cute on you and the bag and blouse are adorable too! This is the perfect weekend look! LOVE love love how you styled them! Love this outfit idea for spring! So cute on you! I am loving the overalls. Love that it’s coming back to fashion. This whole outfit is super cute! 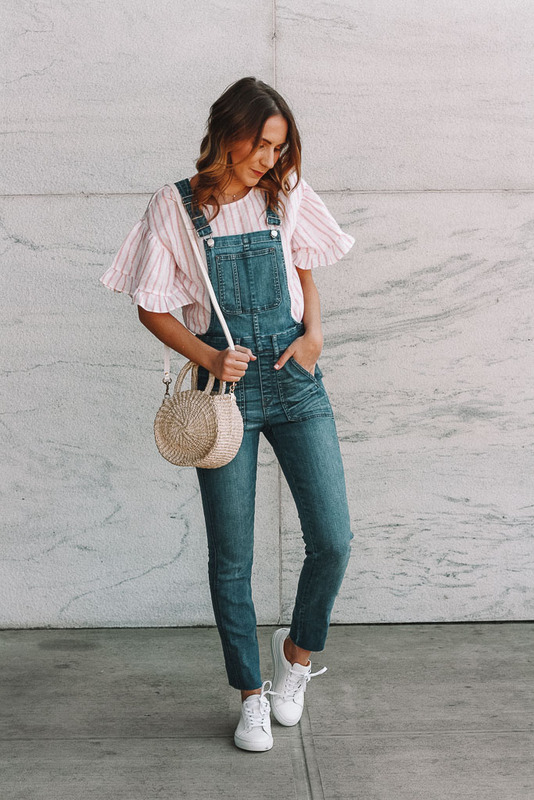 I love the top with the overalls! I was slow to warm up to the overall trend but I recently got 2 pairs and am loving them! Such a fun twist on a casual look! You are so cute! Love the overalls! Gorgeous look! 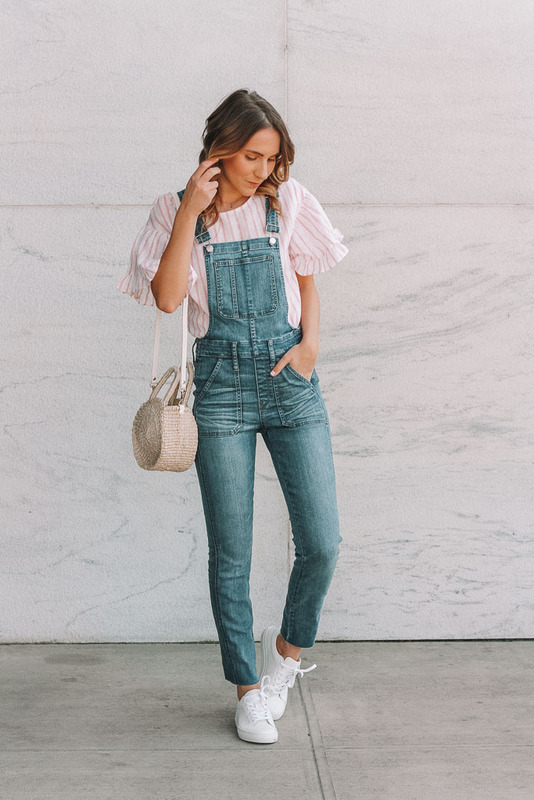 I love the top and those overalls!